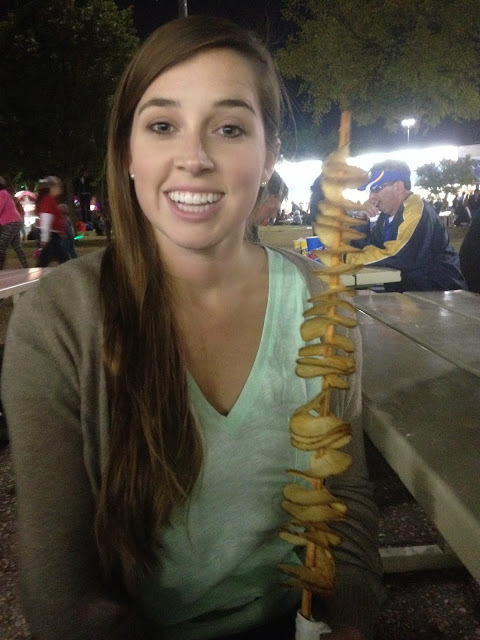 A few weeks ago, I convinced Josh to take me to the Texas State Fair. Now, this fair is unlike any other state fair.
. . . or am I just being biased and assuming everything in Texas is better than everywhere else? They fried butter, I mean who does that? Second, it was extra special this year because shortly after the fair last year, Big Tex (the iconic statue welcoming everyone in the fair) burnt down. It was tragic, but he returned even bigger and better this year, see? 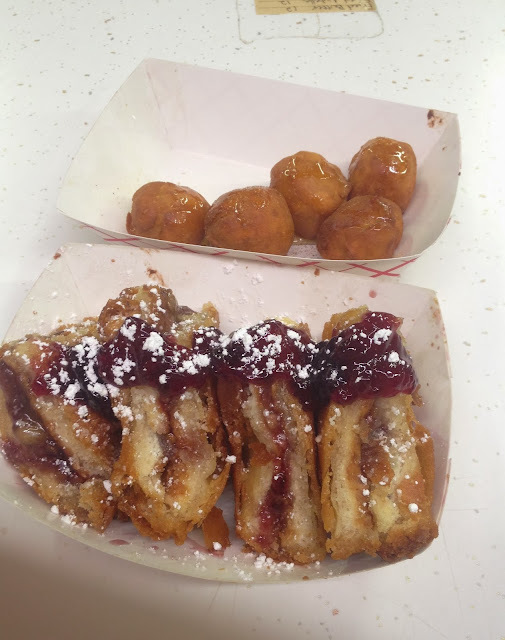 I couldn't convince Josh to wait in the mile ling long to ride the Texas Star with me, but I did convince him to try a smorgasbord of fried goodies. 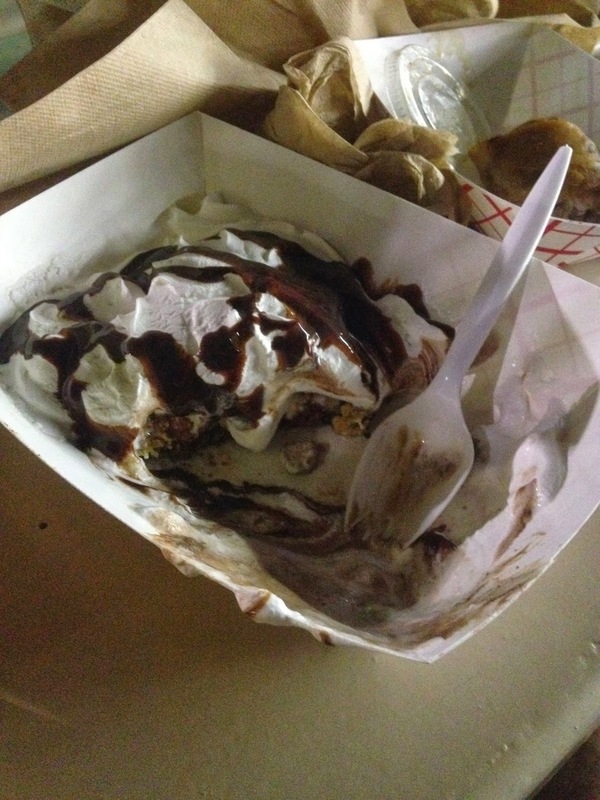 They even had fried Thanksgiving dinner and fried frito chili pie. I'm not even gonna lie, it was pretty good. 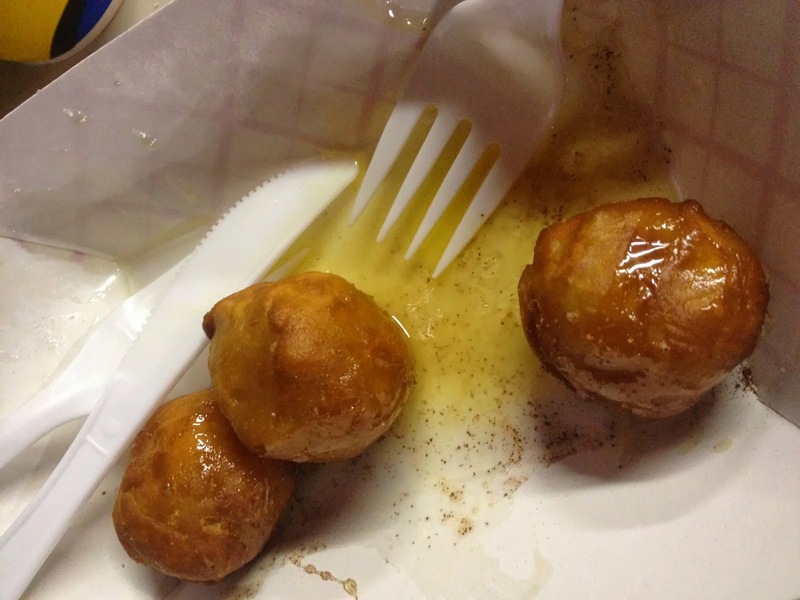 Of course, I imagined an entire stick of fried butter covered in crunchy, greasy batter, but in all actuality it tasted exactly like a sopapilla (with extra butter). The only recommendation I have is to first cut into the ball and let most of the butter drain out. It was topped with honey and cinnamon, and it was heaven in my pre-hypertensive, pre-diabetic, pre-hyperlipdemia mouth.
. . . the PB&J was dang good though.
. . . for dessert (not that the previous treats were the entree by any means) we had a fried pop-tart. It's not near as photogenic as the others, but it tasted phenomenal. Next year, I swear we are going to ride rides, and not just stuff our faces. 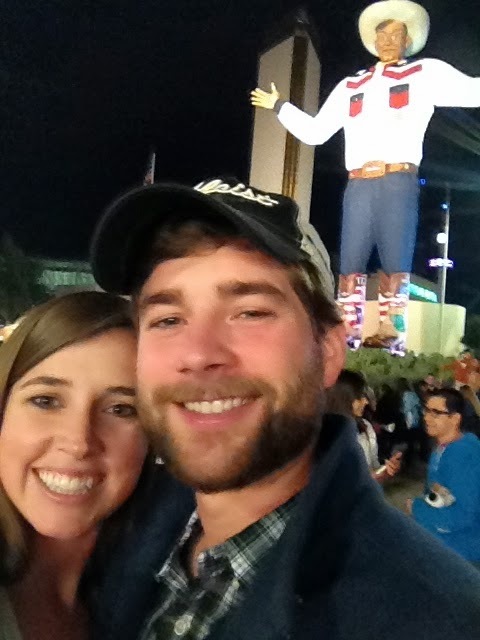 Catch ya later Big Tex.